I was surprised when I was approached about reviewing this product, but the more I use it, the more I like it. 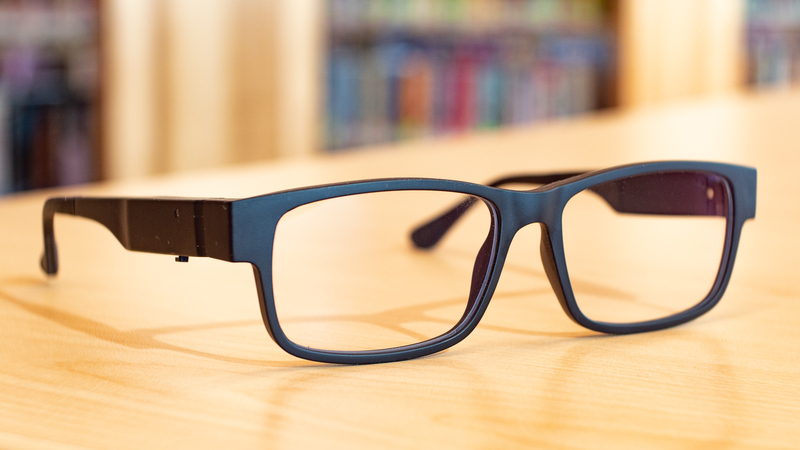 Eyeforcer is a pair of glasses that sense when your head is tilting and activate a light to remind you to lift your head back up. In fact, if you ignore the blinking light by your eye for too long, it’ll send you a text message. I’ve heard on the news several times over the last few years that people are having neck and back troubles from using their phones and tablets. The problem comes from tilting your head too much to look down at your screen. “Textneck” happens because your body is not intended to look down toward your belly button for extended periods. Your neck and spine are designed to look more forward. When you tilt your head forward, it becomes heavier and strains your body in unusual ways. Also, phone and computer screens typically emit a lot of blue light, which some people complain about. As a photographer, you probably spend more time looking at your phone and computer than the average person — especially if you’re running a business with social media. The Eyeforcer glasses remind you to lift your head by blinking a small light from the temple piece. You download their app and use it to calibrate the glasses, change the color of the light, set the angle of tilt that sets off the alarm and dictate the text alarm settings. The lenses are also supposed to reduce the impact of the blue light from your screens. I’ve been using these glasses for about a month and I like them. They help me keep my head up and my posture more upright. I’ve always had terrible posture while sitting, so I’ve enjoyed the easy reminder to sit up and look up. I use them primarily sitting at my desk and using my computer, but I like the effect when using my phone, too. I use the red setting for the light and I set it at the recommended 25º to activate. When the app is open on my phone, the glasses connect via Bluetooth and if I keep my head down for more than a few seconds I get an alert on the phone screen, which is really effective when using the phone. Eyeforcer comes with a semi-rigid case, a wall charger, a USB cord and a lens cloth. The battery should last about 30 hours of continuous use. I didn’t realize how much I need these glasses to help me keep my head up and reduce strain on my neck and back. They look pretty good and they feel pretty good. They come in black or tortoise and have a satin finish. You can even have them filled with prescription lenses. At $215 (free shipping from Canada to the U.S.) they are a little expensive, but they are a lot less costly than a doctor or chiropractor visit. Eyeforcer may be a good option instead of repeated adjustments and treatments.